Modern oils are specifically designed to capture the elements that, if left on engine parts, would become sludge. This is what can turn the oil black and the presence of these elements will not cause inhibit the performance of the oil during the period between scheduled oil changes. The oil should be changed in accordance with the mileage recommended by the OEM. This is not true. High-performance synthetic lubricants are fully compatible with their mineral oil counterparts and it is safe to switch at any time. The performance advantages that synthetic products offer over mineral oils can be realised across a range of ambient temperatures and driving conditions, regardless of vehicle age. Again, this is false. Even at the same viscosity grade, not all synthetic lubricants are the same. This is due to the bespoke base oils and additive packages formulated and used by lubricant suppliers. Modern engines operate at high temperatures - these cause the oil to oxidise and thicken. 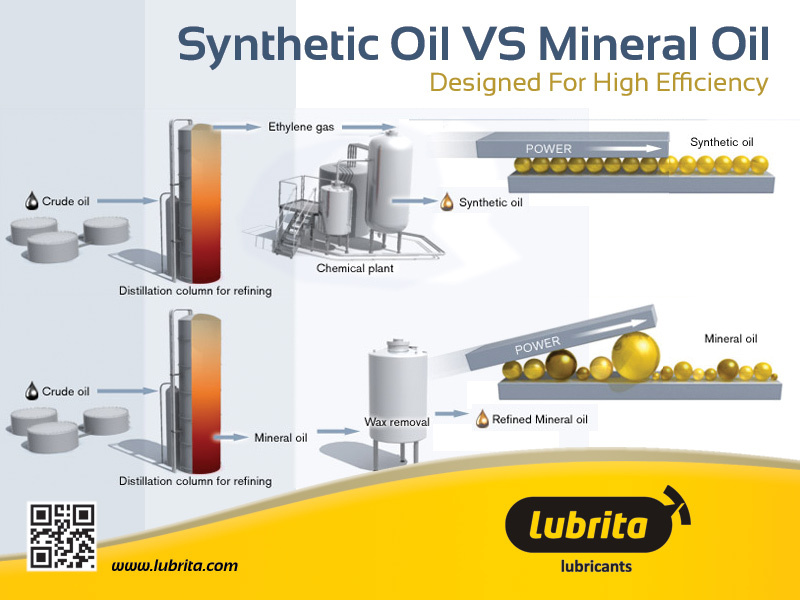 The advanced technology in Lubrita oils delivers exceptional performance in these severe conditions, staying stronger for longer. Lubrita synthetic motor oils are specially formulated to protect critical engine parts – while helping to maximize efficiency and performance, as well fuel saving.